Whether you’re moving to a new home or just want to improve your Internet connection, setting up a strong home network can feel daunting. But optimizing your devices’ Internet connectivity and protecting your personal data doesn’t have to be complicated. From where to place your router to how to encrypt your Wi-Fi, here are eight expert tips for setting up a strong home network. 1. BE STRATEGIC ABOUT ROUTER PLACEMENT. 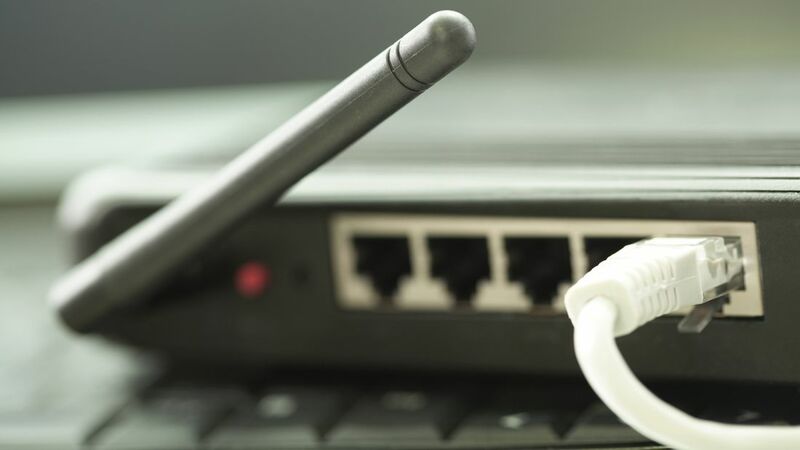 It might be tempting to stash your router out of sight since the gadgets tend to be ugly and bulky, but a strong home network relies on a well-placed router. IT experts recommend that you put your router in an open area near the middle of your home, as far away from walls as possible. In addition to ensuring that your router’s signal reaches everywhere in your house, a properly placed router will minimize signal interference from appliances such as microwaves and cordless phones. Putting your router in a central location also reduces the risk that the Wi-Fi signal will reach outside your home and leave your network vulnerable. 2. CHANGE YOUR DEFAULT NETWORK NAME AND ROUTER PASSWORD. New routers come with a default Service Set Identifier (SSID) name and password. While you need to use this default information the first time you connect your computer to the Internet, security experts strongly suggest that you change it immediately. If you continue to use your router’s default SSID and password, hackers can easily guess them (based on your router’s manufacturer) and gain access to your router. Choose a name for your Wi-Fi network that doesn’t give away personal information such as your full name or address. To keep your Wi-Fi network safe, choose a strong password and change it every month or two. 3. ENCRYPT YOUR WI-FI NETWORK. Depending on your router and Internet Service Provider (ISP), you may get to choose how to encrypt your Wi-Fi network. When you’re setting up your router, you will likely be given several options for how to encrypt your network. To maximize your security, try selecting WPA2-AES (Wi-Fi Protected Access 2 – Advanced Encryption Standard) as a great option to protect your Wi-Fi network from brute force attacks. 4. PICK THE RIGHT WI-FI BAND. Many routers are dual band, meaning they can broadcast both 2.4 Gigahertz (GHz) and 5 GHz bands for their Wi-Fi signal. If you have a large home and need Wi-Fi to transmit across multiple walls or floors, opt for the 2.4 GHz band. Otherwise you’ll most likely achieve faster speeds and better protection from hackers using the 5 GHz band. Experts suggest that you experiment with both bands before opting for the one that better suits your physical space and speed requirements. If you live in a crowded area or a big apartment building, you should also try changing the band’s channels (such as 1, 6, or 11) to see if a different channel reduces interference and boosts speed. 5. OPTIMIZE YOUR PRINTER SETTINGS. If you have a wireless printer, follow the manufacturer’s instructions to set up the device and connect it to your network. Because hackers can target Wi-Fi enabled printers, make sure you change the default password and install any software updates. Doing so will further protect your documents’ security. 6. PROTECT YOUR SMART APPLIANCES. As your home becomes ‘smarter,’ you might have multiple Internet-connected devices in your living space, from computers and tablets to smart light bulbs and home security systems. Although smart homes can offer convenience and extra security, any smart appliance on your home network is vulnerable to hacking. When adding smart devices to your network, scrutinize the security settings by changing default usernames and passwords, setting up multifactor authentication, and installing software updates and security patches. Setting up your home network isn’t a one-time task. To keep your network secure, you need to regularly update your devices’ software. Downloading firmware from your router’s manufacturer, for example, can improve your router’s performance and address security vulnerabilities. Like your computer and smart phone, your router needs regular security updates to function properly. 8. PREPARE FOR THINGS TO GO WRONG. As you set up your home network, make sure you take the time to gain a big picture understanding of the way your devices are interconnected. Write down the security settings and passwords you want to remember, learn how to do a hard reset on your router, and know how to use your ethernet cables. Having a solid grasp of the individual components in your home network will help immensely when things go wrong and you need to troubleshoot a dysfunctional printer or faulty Internet access. Lastly, keep the contact information for your Internet service provider handy so you can contact them if you need additional help. Even the most secure personal network is not 100% protected from fraudsters. Discover will help you to protect your identity by monitoring thousands of risky websites and alert you if they find your social security number. And it’s free for cardmembers who sign up, and a good first step to putting you in the know. Terms apply. Learn more at Discover.